Food manufacturers should treat the inevitable regulatory changes caused by Brexit as an opportunity, and use technology to take full advantage of the back office, argues Parseq’s Craig Naylor-Smith. The UK’s food and drink industry is in uncharted waters. Our departure from the European Union is proving to be one of the most complicated and protracted political processes in British history, with no clear indication of the impact it could have on manufacturers. If we leave with a deal, the EU rules that set large portions of the sector’s regulatory framework should be transposed into UK law during the two-year withdrawal period. But, in the event of a no-deal Brexit, this is far from certain. Parliament has voted to rule out the possibility of a no-deal outcome, but this is still dependent on a range of fast-moving factors, including the EU granting an extension to Brexit and the terms of our departure eventually being agreed. On March 13th, the UK government issued no-deal guidance on everything from importing and exporting and food labelling to marketing standards and employing EU nationals. The extent of the guidance highlighted how much of a burden this outcome would be for the industry, and the financial and administrative pressure it would cause. However, if everything does go to plan, and our departure is smooth, as a highly regulated industry, with a significant audit trail and an extensive supplier base, even the slightest change to the rules could require food and drink manufacturers to make big changes. Instead of viewing this as a challenge, the sector should take the opportunity to make their operations fit for the future. When it comes to compliance, the back office is the most critical business function. Technology, including next generation document scanning and automated document processing solutions, can make it more accurate, efficient and cost effective, and give companies better access to the information they need to comply with evolving regulation. Now, food and drink manufacturers have not shied away from technology adoption. The applications of automation on the production line are well understood. To build on this, the sector needs to apply the same ambition to the back office, where technology can also have game changing benefits. 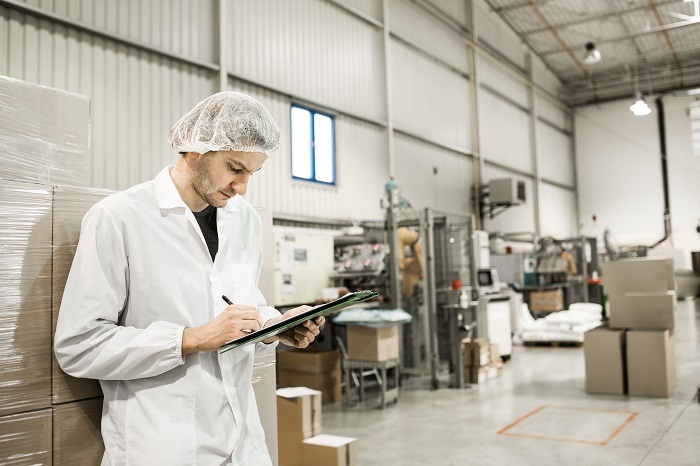 Food and drink manufacturers have to handle and process a significant volume of documentation, covering everything from personnel files to food safety and hygiene certification. By digitising this information, the evidence of quality standards and conformity required to comply with expanding regulation is made easily accessible. No matter what Brexit eventually throws up, food and drink manufacturers will be armed with everything they need to comply in the new world. An automated scanning solution, that captures, stores and manages all of a food and drink manufacturer’s documentation can deliver this greater level of accessibility, all while reducing costs. At Parseq, clients that use our solution have experienced, on average, a 35 per cent reduction in back office costs. But, looking beyond the financial benefits, technology like this, and innovations such as Robotics Process Automation (RPA), can also improve the speed and accuracy of key processes and make the back office more efficient and productive. For example, with automated support, the amount of simple document processing a food and drink manufacturer’s back office staff have to physically undertake is reduced, giving them more headspace to handle business-critical work that requires a human touch. Every business is different, so as a first step, food and drink manufacturers need to explore technology that complements their existing systems. A partner organisation, with the right experience and expertise, will be able to advise on a cost-effective solution and support through the entire lifecycle of a project. The world is changing fast. Alongside evolving regulatory hurdles, food and drink manufacturers are now operating in a more technologically driven landscape. As customer expectations rise, and regulations become more stringent, the pressure on every industry is only going to increase. By getting ahead of the game now, and embracing innovation in the back office, the sector will be well placed to thrive post-Brexit, and beyond. Originally published in Food Manufacture. Visit our Join The Q pages to see all the latest vacancies and find out more about working at Parseq. © 2019 Parseq Limited. All rights reserved.